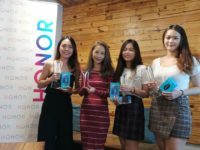 Days after its official debut in Paris, the HONOR View20 is available for sale today in Malaysia at their grand roadshow at One Utama mall where fans who have been eagerly awaiting the phone were queueing into the wee hours of the night since 11.30PM the night before. 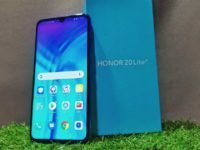 The HONOR View20 will be available in two variants in Malaysia, the 8GB RAM/256GB variant co-designed with Moschino in a slick shade of Phantom Blue for RM2,499 and the mainline 6GB RAM/128GB storage variant in Midnight Black and Sapphire Blue for RM1,999. 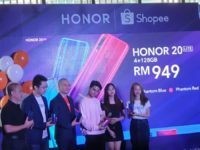 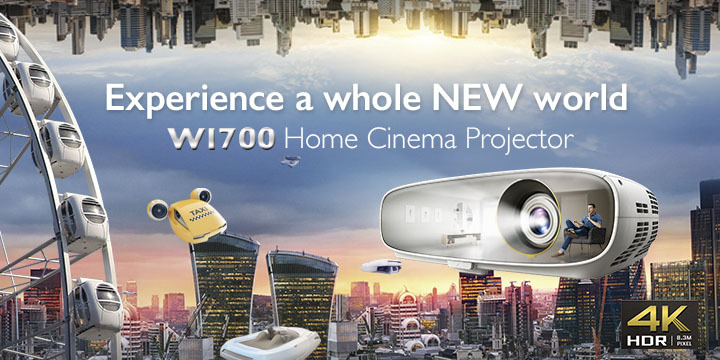 The first 200 birds who buy the View20, regardless of variant, will get a free HONOR Watch Magic smartwatch as well as a posh backpack for free with both the watch and backpack worth more than RM700 in total. 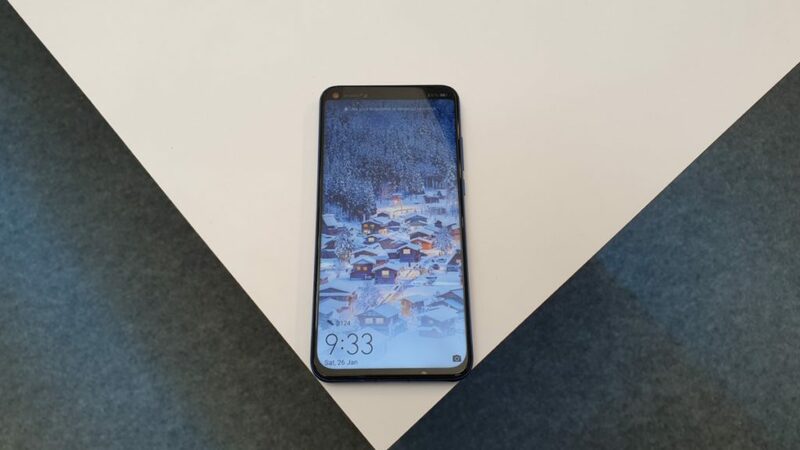 The Watch Magic has a rounded AMOLED display up front, has heart rate and sleep tracking, 50 metres of water resistance and a stainless steel body with a retail price of RM599. 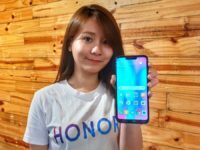 To recap, the HONOR View20 comes with a 6.4-inch FHD+ display with a Punch hole under the glass for the 25-MP selfie camera, a Kirin 980 processor, up to 8GB RAM, up to 256GB of non-expandable storage and a rear 48-MP camera using Sony’s IMX586 CMOS sensor paired with a 3D camera. 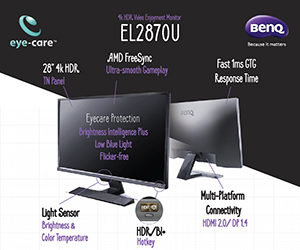 Other mod-cons include a PC mode to use it as an ersatz PC with a monitor and keyboard, a liquid cooling system to keep it cool and interesting augmented reality applications in tandem with the aforementioned 3D camera. 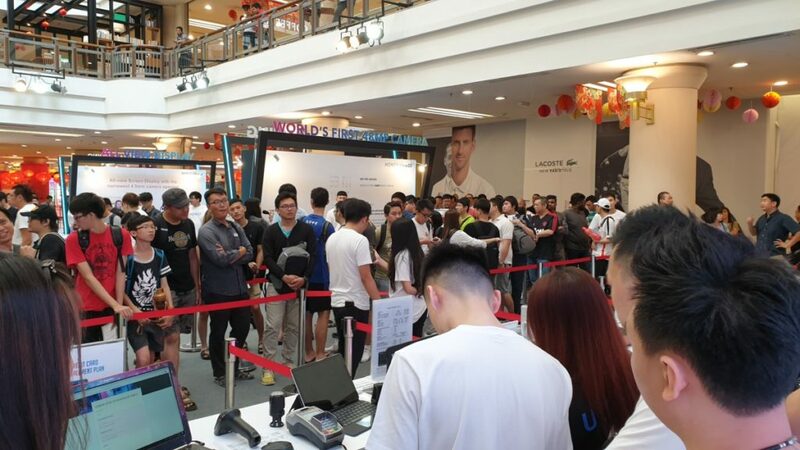 The first man in queue, one Lim Kin Aik, 20, queued since 11.30pm the previous night and was keen to purchase the View20 on account of its powerful Kirin 980 processor and other impressive features. 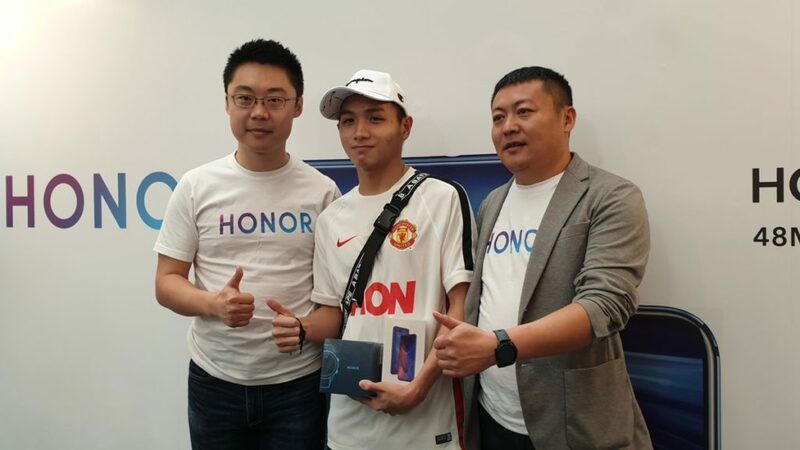 The HONOR roadshow is ongoing till 27 January 2019 at the ground floor of Highstreet at One Utama mall. 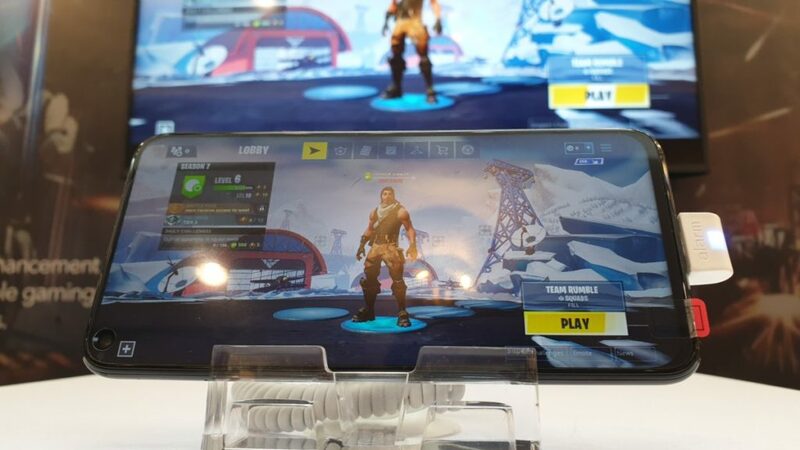 After that, it hits general retail nationwide.